Home Financial Intelligence Can You Handle Abundance? This question seems like a silly question. Who doesn’t want more? We all do, but the issue is, can we handle it? Stop and think for a moment what has happened to all the money that has passed through your hands in the last ten years, can you give account for most of it? Consider the parable of talents in Matt 25: 14 – 30. A man going on a journey entrusts wealth to his servants to manage while he is away. The amount of wealth each servant got depended on their capacity to handle it. The three servants were given five, three and one bag of gold or talents respectively. The first two proved beyond reasonable doubt that they can handle it, while the last one met the master empty handed. You know the rest of the story. The ones that showed they could handle it got more while the last one went away empty handed, probably murmuring and complaining as he went about how unfair life is. If you look at a company, especially big ones, you will notice that people hold various positions that go with varying levels of responsibility. At the bottom are folks who do what they are told, and as you go up, you meet folks who have more responsibility, supervise others and have a bigger capacity to handle various tasks. The man at the top is not more brilliant than the man at the bottom. As a matter of fact, the man at the bottom may be a first class degree holder while the overall boss made a second class lower degree in a non technical area. What makes the difference is their capacity to handle tasks and execute them successfully. A Project Engineer is in charge of one project while the Manager can have up to 30 projects under him. It all boils down to capacity to handle more. Having more money is not the problem. Growing the capacity to handle more is the crux of the matter. If you currently do not have enough money, chances are that you are in that situation because of your lack of capacity to handle more. Money has already entered your hands time and time again, a series of one bag of gold, but like the last servant, you failed to turn it into two bags of gold. You keep giving away the one bag of gold time and time again. Imagine you turned the one bag into two, and two bags into four, and four bags into eight, and eight bags into sixteen, and on and on. The issue would not be asking God to give you more; the issue would be what good to do with what God has blessed you with already. As you multiply what you have, you open the door for more to come in. There is more than enough. The challenge is that precious little is coming our way because we have not demonstrated the capacity to handle more. Have you ever wondered why banks beg Dangote to take loans but tell you ‘No’? It is not that they love rich people and hate poor people. As a matter of fact they are looking for whom to give loans to. They give targets to their officers to give out loans. Banks make money through interest income from loans given out, so the more loans they give out, the more turnover and profit they make. The challenge is – Dangote will multiply the money and give back while for most of us, it becomes bad debt – the bank cannot get their money back. That is why they are so scared of giving us loans. We have no track record of turning what we touch into gold. God and banks have one thing in common in a way – they have lots of money to give out, but are looking for who they can trust it with. Who can they give 5 bags of gold to turn to 10 bags of gold? Are you the one? What have you done with the bags of gold that have come your way – some in the form of salary, bonuses, lump sum payments etc. Do you complain it is not enough and bury it in the ground or double it? Can you handle more money? 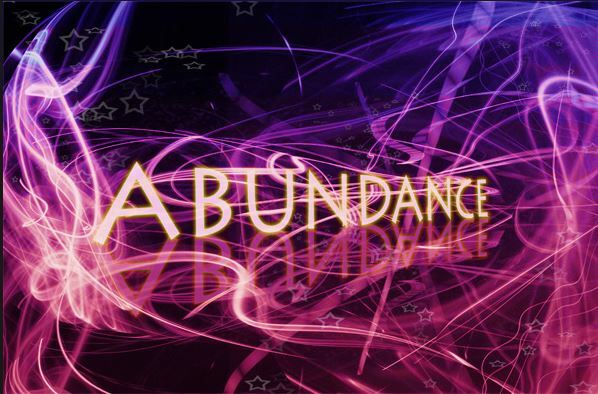 Can you handle abundance? That is the question.